We are a small Manchester based business delivering First Aid Training, and selected Diving Speciality Courses but we dont just stop there ! + We provide website access to our students providing resources relevant to the courses you have taken. + Small class sizes give you more time with your instructor. + Evening and Weekend Training. + We will provide you reminders when its time to refresh (if applicable). + You will be first to hear of any special offers we may have on. + Discounts on courses for Multiple Attendees, Refresher Courses or taking Multipe Courses. (Prices quoted on the enrollment screen is the most any one will pay). training agencies in the world, and establisted for over 50 Years. + All our first aid training follows the latest ILCOR standards. Our courses are a delivered in a structured way, building a foundation and build on the the knowledge gained from previous topics. Most courses have some home study in them, this is then re-inforced in a classroom environment with presentations, videos, skill demonstrations followed by skill practice by the student. During February & March 2019 we are donating our fee to Project Aware on any Project Aware Courses Taken. 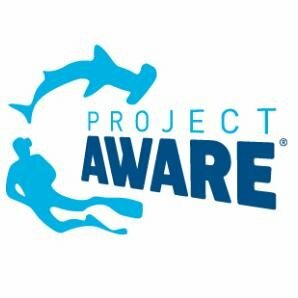 Ideal time of year to learn more on how you can help Project Aware protect the oceans.